The plan comes following a review prompted by the death of 16-year-old Kyle Plush, who died after becoming trapped in his minivan. He called 911 twice, but never received help. "This will be a fluid plan and adjustments are expected as we learn more details about the investigation and as other factors change," Dunhaney says. The plan is broken into four priority focus areas: staffing retention & morale; training; oversight, accountabilty and best practices; and technology. 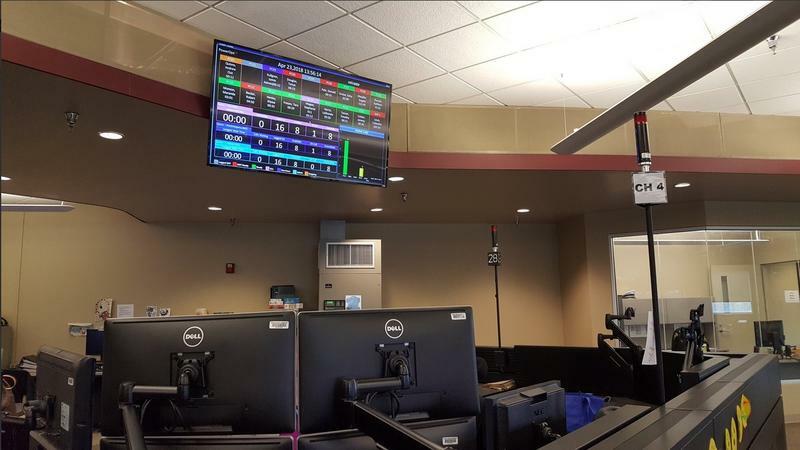 "Recruiting, hiring and maintaining highly qualified and productive call center staff will have to be improved in order for improvements of any kind to be effective," Duhaney says. Right now there's a single person who handles ECC training on a full-time basis. The new plan calls for five people to focus on hiring, training and retention. The city could seek an outside, independent review of the center. 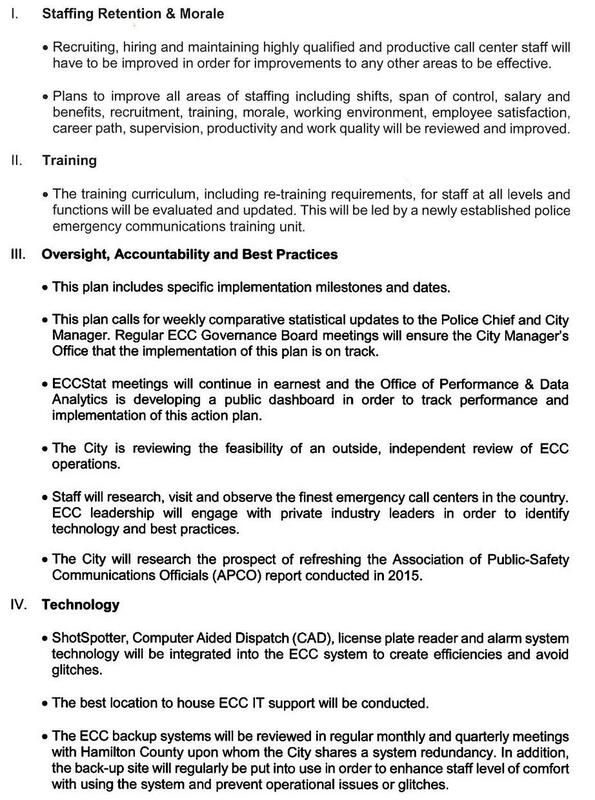 ECC staff are asking for permission to visit other cities to monitor emergency communications centers. Police Capt. James Gramke says he'll provide weekly updates to the acting city manager on progress toward implementing the action plan, and the ECC governing board will meet monthly to discuss progress. "The emergency communications section has been devastated by the death of Kyle Plush," says Gramke. "We're committed to critically examining every aspect of our organization for improvement in any and all ways possible. Our employees are quietly determined to earn the trust of our community." There will also be a dashboard on the city's website to monitor improvements. Vice Mayor Christopher Smitherman says he'll ask that city council members and the media tour the ECC in 60 days. A similar tour was conducted last week. The Law and Public Safety Committee meets again Wednesday morning and Police Chief Eliot Isaac will present the department's internal report on the Kyle Plush investigation. It's expected to outline the issues surrounding his calls to 911 for help, and the actions of city personnel in responding to those calls.